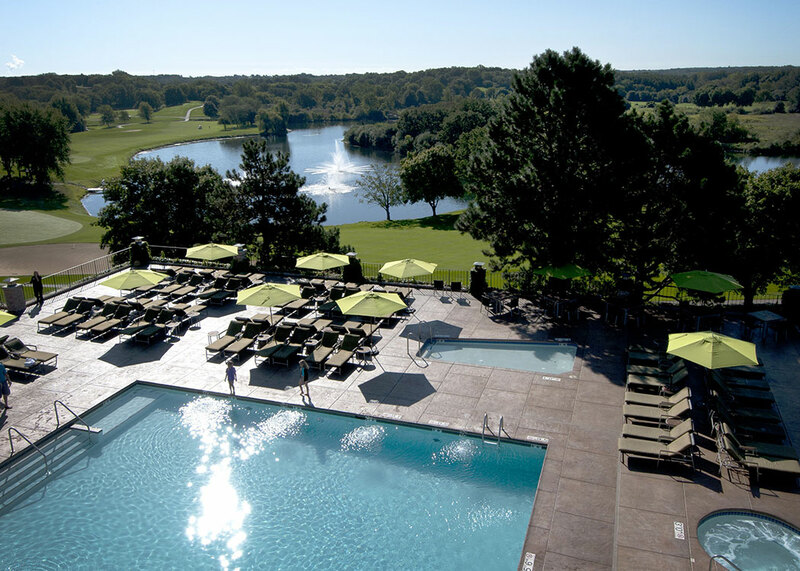 Our outdoor pool offers a refreshing escape, complete with stunning views of our private lake and golf course. ﻿Cool off on a hot summer day in the main pool or toddler pool, soak up some rays on the expansive pool deck, or relax in the hot tub. Open seasonally from 7am-10pm. Guests can enjoy complimentary water, towels and sunscreen at the outdoor pool and toddler pool. Beverage and food service is available from the Cool Water Pool Bar. 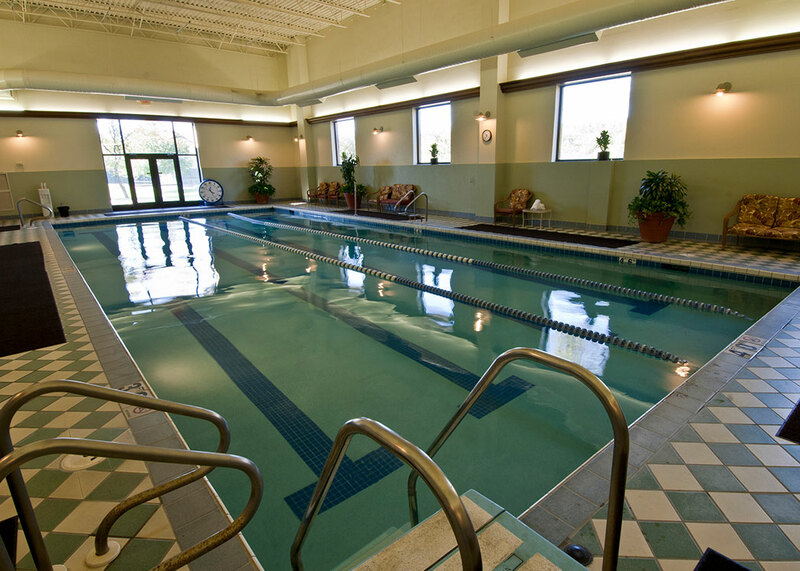 As the seasons change and the air gets a little crisper, take a dip any time of the year in our indoor pool and hot tub open daily from 7am-11pm. Located indoors at WELL Spa + Salon, our lap pool is also open year-round. Join us for adult fitness classes in the pool throughout led by our expert instructors, or enjoy the pool at your leisure during daily fitness center hours. Kids and parents alike will have a blast at Timber Ridge Lodge & Waterpark with 50,000 square feet of indoor and outdoor fun. 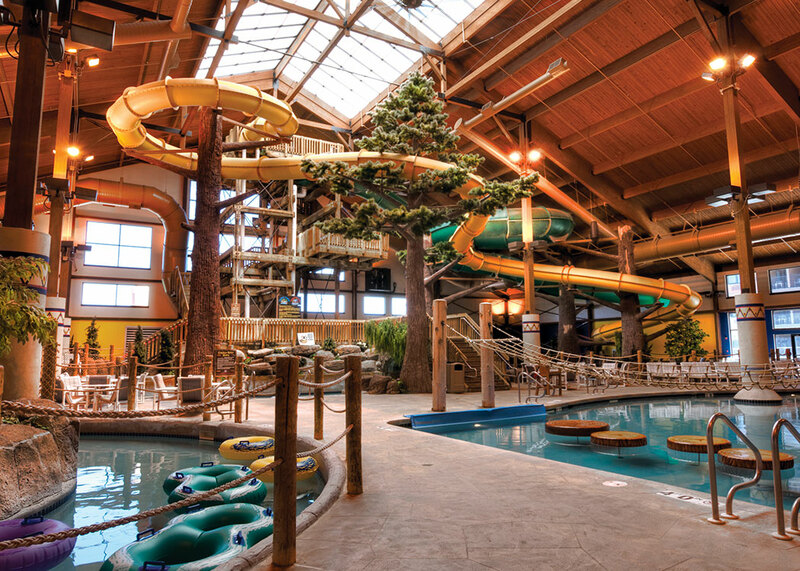 Moose Mountain Falls Waterpark lets you take off on two gigantic heated waterslides from a 35-foot tower, float down the river, or relax in a tropical-style setting with hot tubs and lounge chairs. There's countless hours of fun, even in the middle of winter! When you've dried off, additional activities include a game arcade, mini-golf (seasonal) and delicious eateries. Moose Mountain Falls is located at Timber Ridge Lodge & Waterpark at Grand Geneva. Guests of Grand Geneva may purchase day passes to Moose Mountain Falls Waterpark (passes will not be available on New Year's Eve and restrictions apply over Spring Break Periods), based on availability. Please inquire at time of reservation. Guests of Timber Ridge Lodge & Waterpark have waterpark passes included with their overnight stay. The resort trolley provides transportation from Grand Geneva to Timber Ridge throughout the day.